Saved those '80s pants? Good thinking. 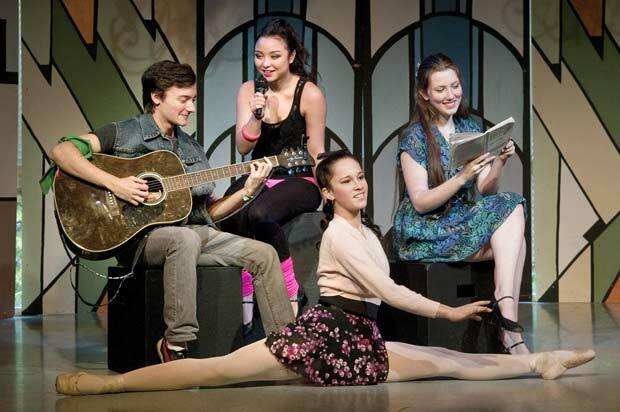 They wanna live forever: St. Thomas More Collegiate students, left to right, Matt DeSimone, Lana Olson, Chelsea DesLauriers and Sinead Plunkett-Blazi rehearse Fame - The Musical, which runs from Feb. 28 until March 2 at the Shadbolt Centre for the Arts.